Looking for adventure, but you still don’t know where to find it? No worries, you can still head to some underrated adventurous destinations! They sometimes do not get the attention they deserve, but they are still worth visiting at least once in a lifetime. Find below some of the underrated adventurous destinations you can go to. Although being a neighbouring country to Peru, Chile and Argentina, Bolivia is surprisingly the least visited. Want an escape from urban life? This is the perfect destination for you! Even if Bolivia does not offer beaches as it is a landlocked country, it still provides breath-taking and untouched landscapes. Enjoy unique views of fiery-red lakes, the largest salt flats in the world, silver mines at Potosi and the highest volcanoes on earth. Relax in the laid-back atmosphere of this destination! Its indigenous culture and prehistoric sites take you to a completely different world. Imagine being able to visit the mountains covered with a lush green forest! 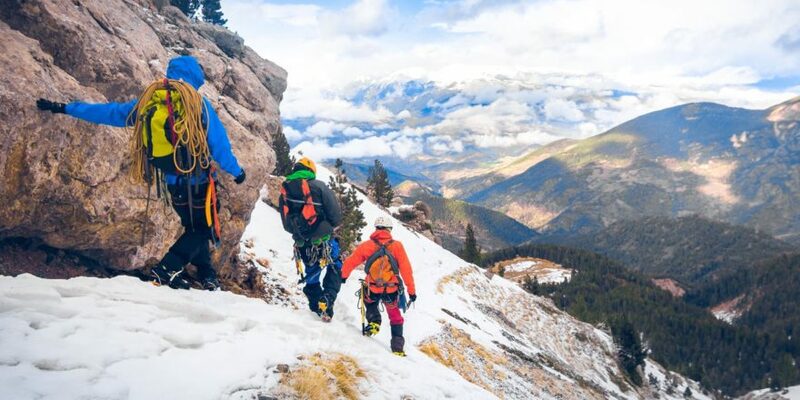 The activities you can enjoy are mountaineering, climbing, hiking and many more. Visit the ski resort at Chacaltaya and find glaciers where you can enjoy skiing. So, if you are looking for a great escape, do not miss a visit to Bolivia! Discover a unique city called Nara in Japan. It is an often-forgotten city near Kyoto. Enter a world filled with temples, shrines and beautiful gardens. After some sightseeing, walk in the narrow winding streets of Naramchi where you can see wooden townhouses that are actually restaurants and cafes. Are you an animal lover? Head to the Nara Park where you can come closer to tame deer. Feeling bored in the evening? Not to worry, since Japan is the birthplace of sake, find sake bars and a very old brewery called Harushika. You can then enjoy tasting and a tour. In this picturesque city, you cannot remain indifferent to the beautiful artwork seen on shrines and temples. In an adventurous mood? Visit the Koriyama Castle and find its walls and moats preserved in a public park. Looking for more adventures? Find adventures themed slots online at Kitty Bingo like Treasures of Persia Slot, Jungle Jim El Dorado Slot or Fae Legend Warrior Slot. Themed differently, these slot games will take you in various places, where adventures are the norm! Most people flock to the capital city of Ireland, Dublin. However, do you know another Irish city called Galway? It is a harbour town found on the west coast, near the point where River Corrib meets the Atlantic Ocean. At Galway, the medieval meets the modern lifestyle. With several pubs in the city, expect great fun with family and friends. Want to hear some traditional Irish tunes? Head to the Tigh Neachtains where you can enjoy a rocking time! Looking for delicious seafood? Since Galway is close to the sea, enjoy fresh fish and oysters along with a drink. It is even better during the month of September when you can participate in The Galway Oyster and Seafood Festival. Discover stone-clad cafes, boutiques and art galleries in the winding lanes of the Latin Quarter. Also, find pieces of the medieval city walls. If you love a nice bustling city, then Galway is a great choice. A great fan of arts? Discover St Petersburg in Russia, which is also a great cultural centre! The city’s iconic Bronze Horseman statue reminds you that it was founded by Peter the Great in 1703. If you want to enjoy opera and ballet, head to the Mariinsky Theatre. To discover Russian art, Orthodox icon paintings and Kandinsky works, pay a visit to the State Russian Museum. Find works by Monet, Picasso, Matisse and relive the opulence of tsarist Russia, Egyptian mummies and Scythian gold at the Hermitage, one of the world’s premier historical and art collections. Visit this city in the months of May and July, to bask in the White Nights, which is a phenomenon lighting up the city in daylight throughout the night! For this occasion, participate in the White Nights of St. Petersburg music festival! It begins in May with “Stars of the White Nights” at Mariinsky Theatre to end in July. Bring your camera along to take lovely snapshots! Who would have guessed it is so much fun to visit these underrated but adventurous destinations? Plan a great vacation with family and friends, and head to one of these spots for lots of adventures!